When I Heart Makeup or Makeup Revolution came out with some new products, I immediately wished upon their Naked Chocolate palette. I like the shades in it and the packaging. Luckily, I got it as a gift. Lucky me, since this one has been sold out everywhere. 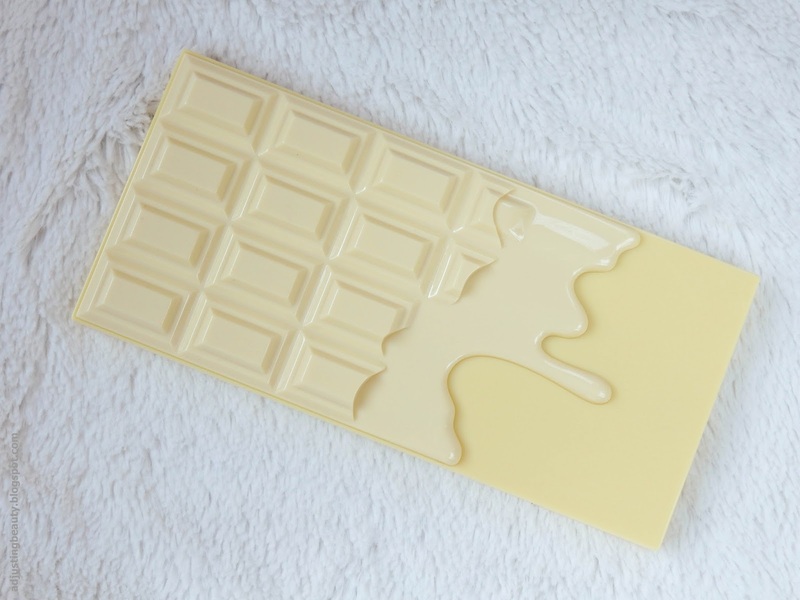 It comes in this adorable white chocolate plastic palette. It looks like it's melted. There's 22 grams of eyeshadows in this palette and it costs around 10€. Depends on where you buy it. Inside is a huge mirror and total of 16 eyeshadow shades. 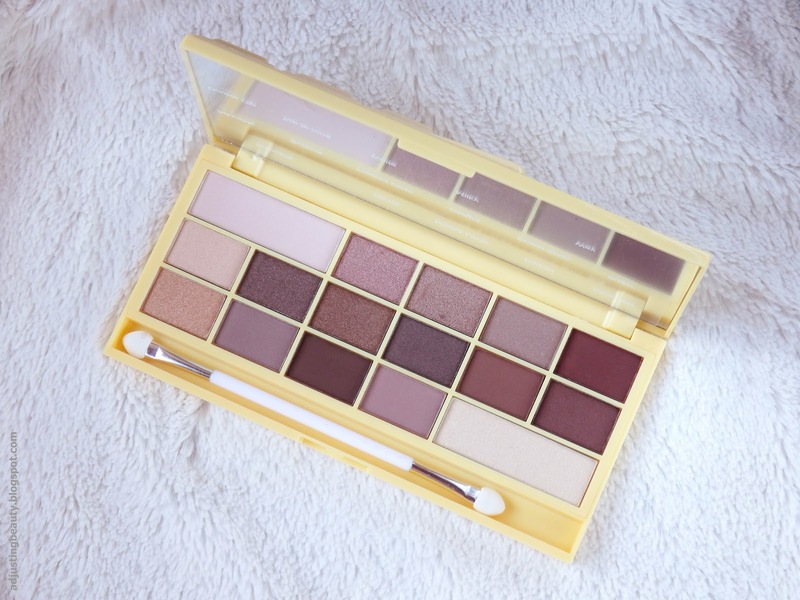 In the palette are 6 matte shades and 10 shimmery shades. 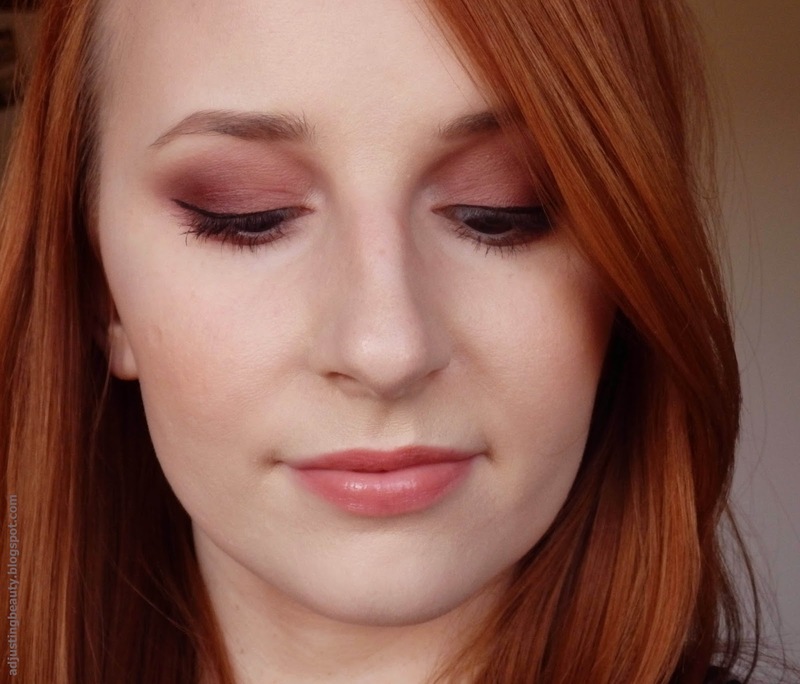 They are mostly neutral variants of shades and mostly warm toned, so perfect for me. The shades are in general very buttery. 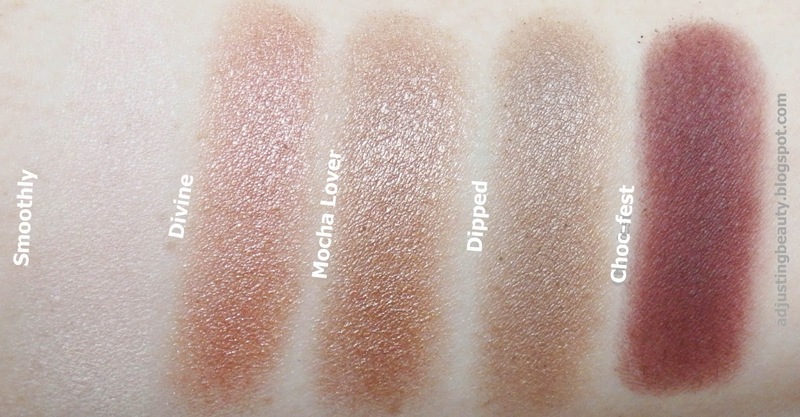 Some shades, which I categorized as very shimmery feel cream-like to the touch. Matte shades are extremely well pigmented. Shimmery shades as well. I have to say the pigmentation of this palette in general is incredible. 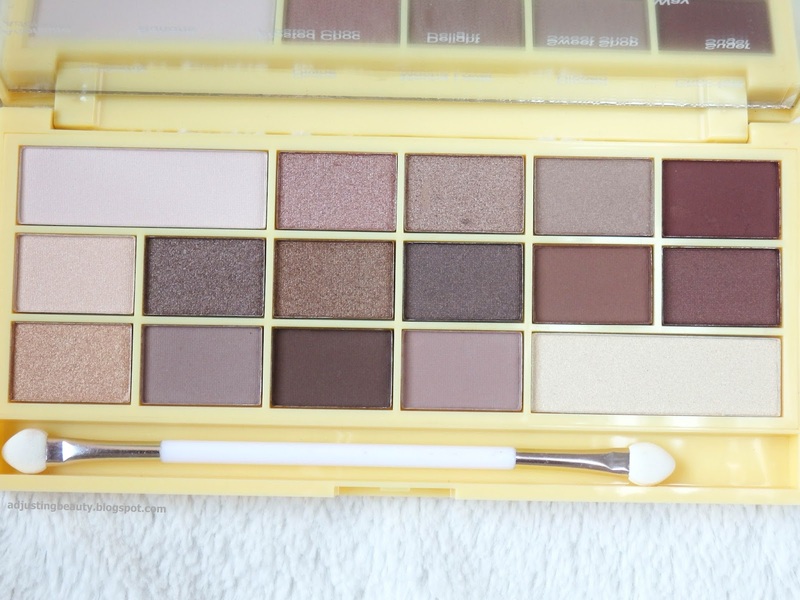 This is probably one of the most pigmented palette in my collection. All shades blend nicely and I don't even experience any fallout with these. 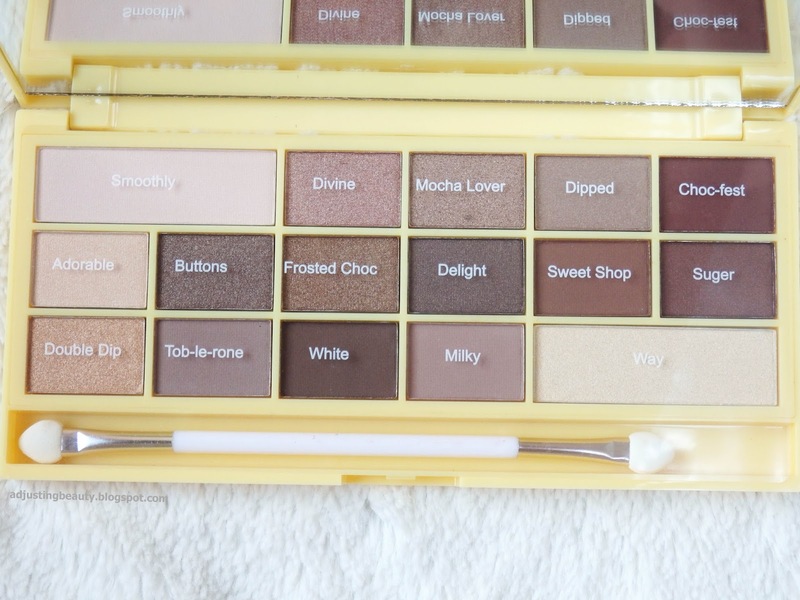 The palette smells of something sweet. It doesn't smell like chocolate, it just smells sweet with touch of something strong. I don't know how to explain it. Basically, don't get it for the smell, because it's not all that. I categorized the shades as matte, shimmery, very shimmery and satin/shimmery. Mattes are the ones that are obviously matte. Shimmery are the ones in which you can obviously see the shimmer. 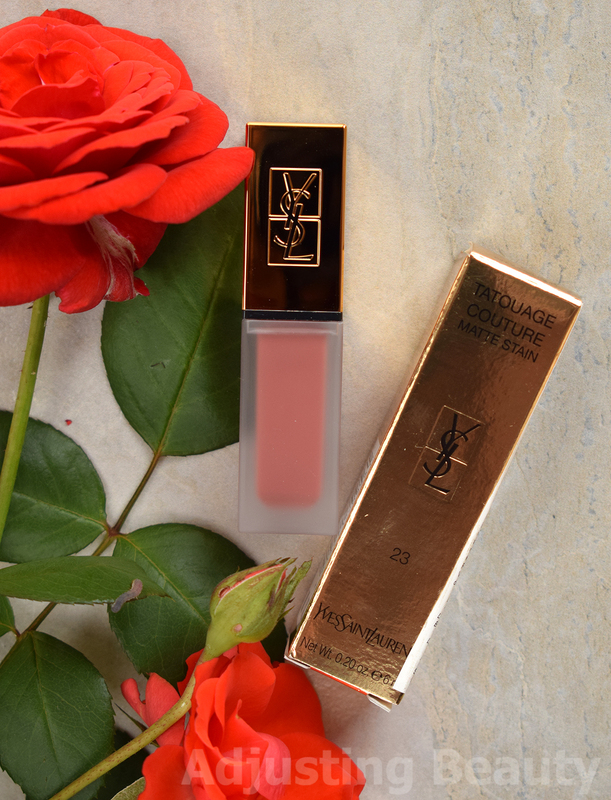 Very shimmery shades have bigger shimmer and feel like cream shades. And the ones categorized as satin/shimmery are those, which have that satin sheen to them, but not an obvious shimmer. 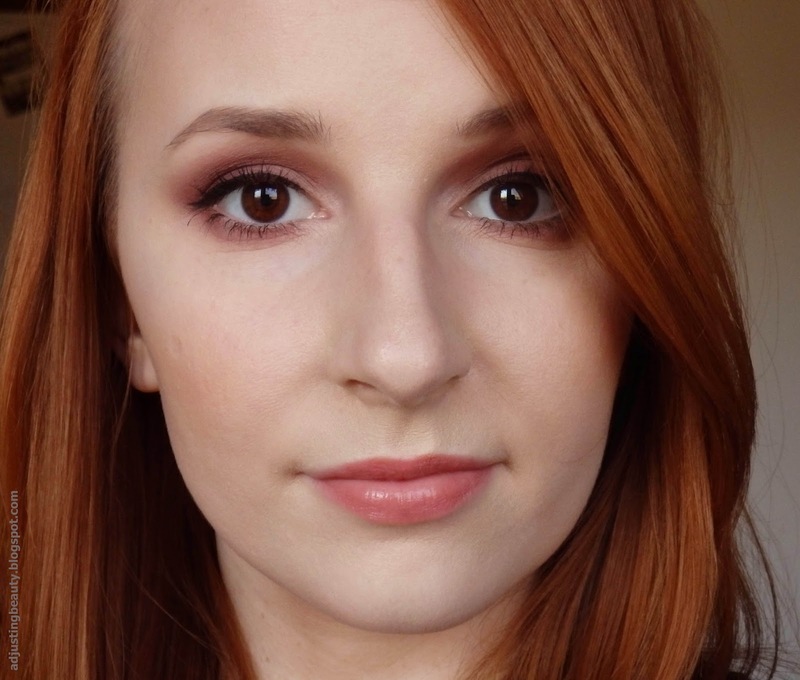 Here are some makeup looks that I created with this palette. I used all the shades, so you can see how they look like on me. 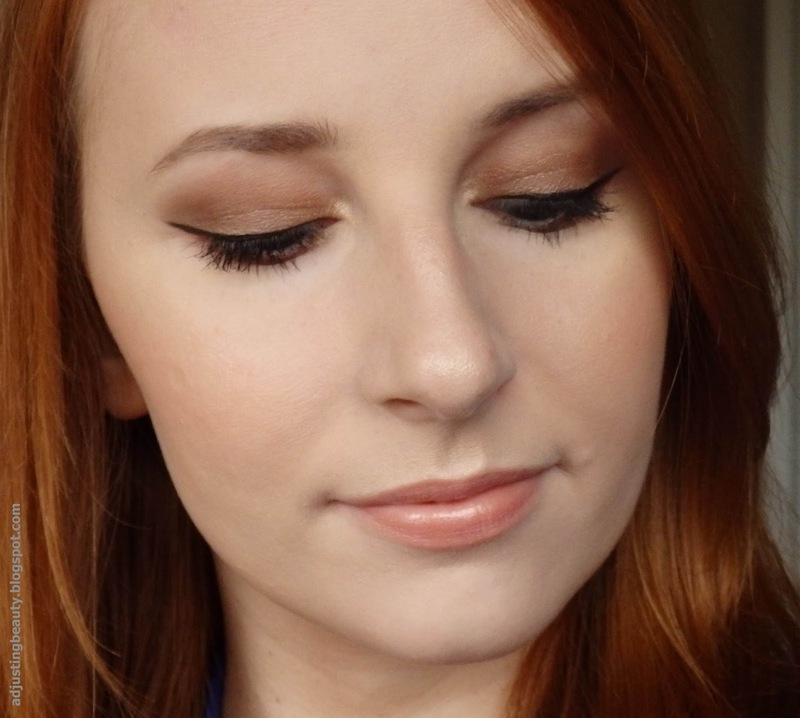 I used Suger in the crease and in the outer corner. 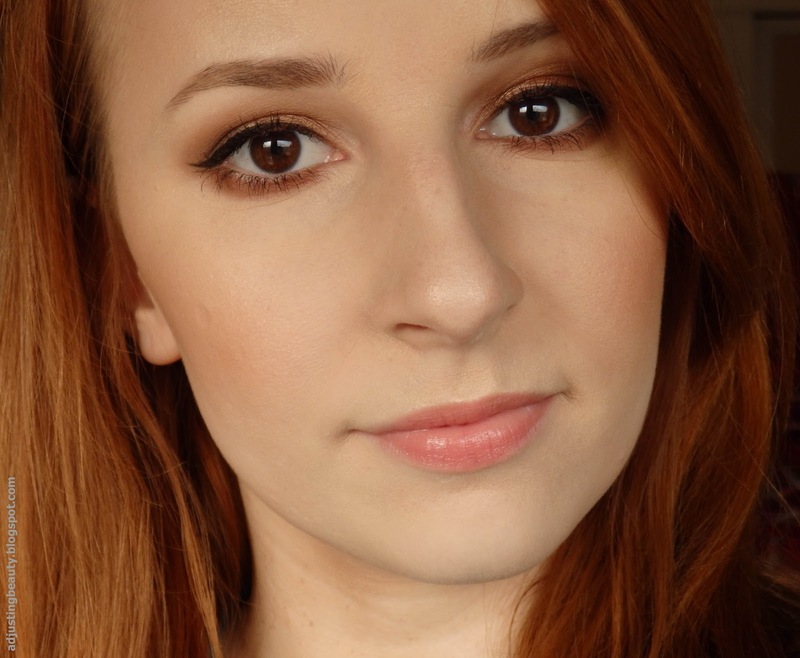 I also used it on the lower lash line. On the lid is Dipped and in the inner corner is Way. I used Milky all over the lid and then used Tob-le-rone in the crease. In the outer V I used Choc-fest. I used Sweet Shop in the crease. In the outer corner of the crease I used White. On the lid is Double Dip and in the inner corner is Way. 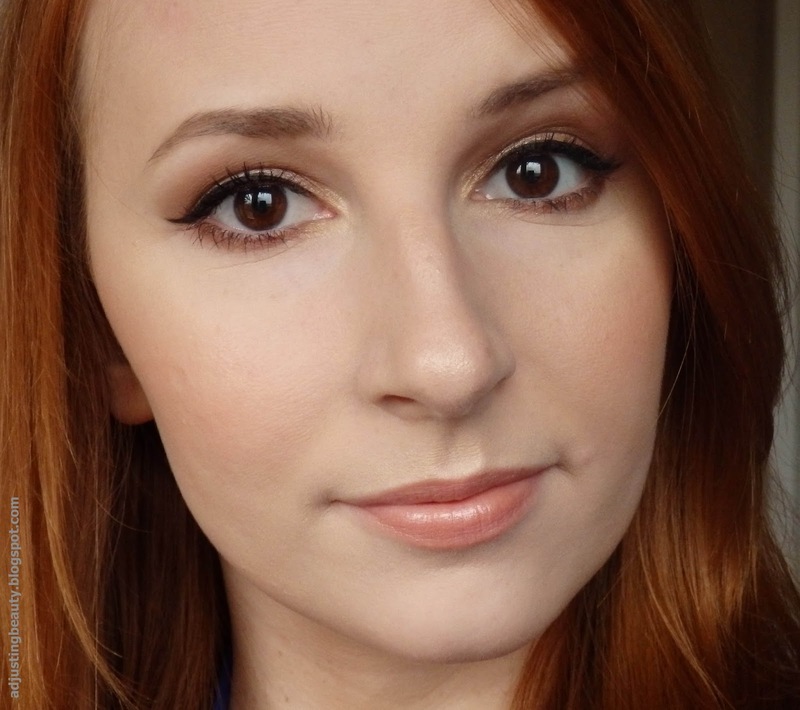 On the lower lash line I used Sweet Shop all over and White in the outer corner. I used Adorable in the inner corner. In the inner half of the lid is Divine and in the outer half is Mocha Lover. At the very outer V I used Buttons. 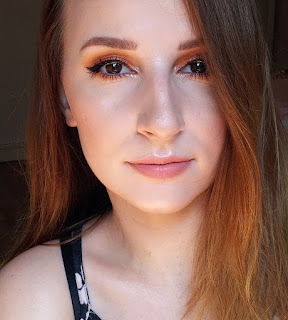 On the lower lash line I used Mocha Lover. In the crease I used Sweet Shop. On the lid is Frosted Choc. 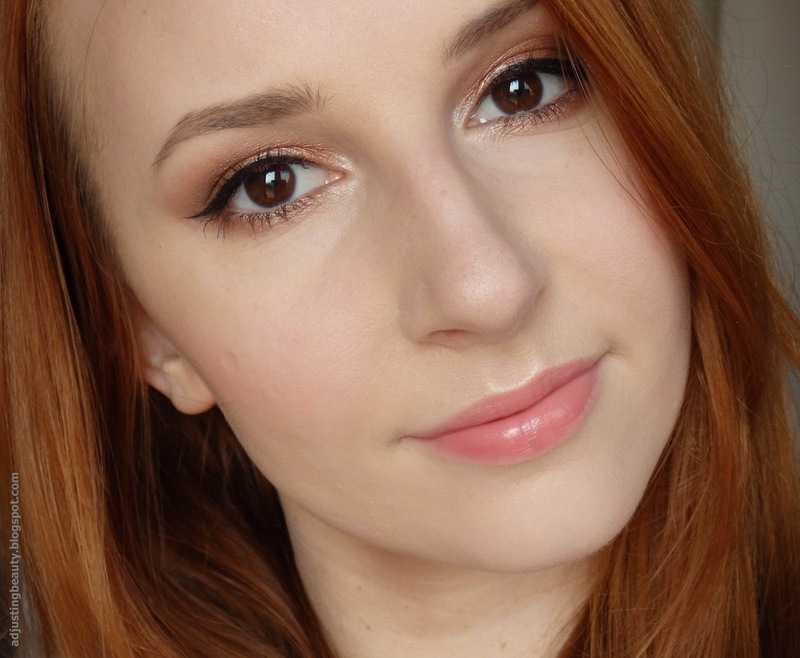 Delight is the shade used in the outer V corner. 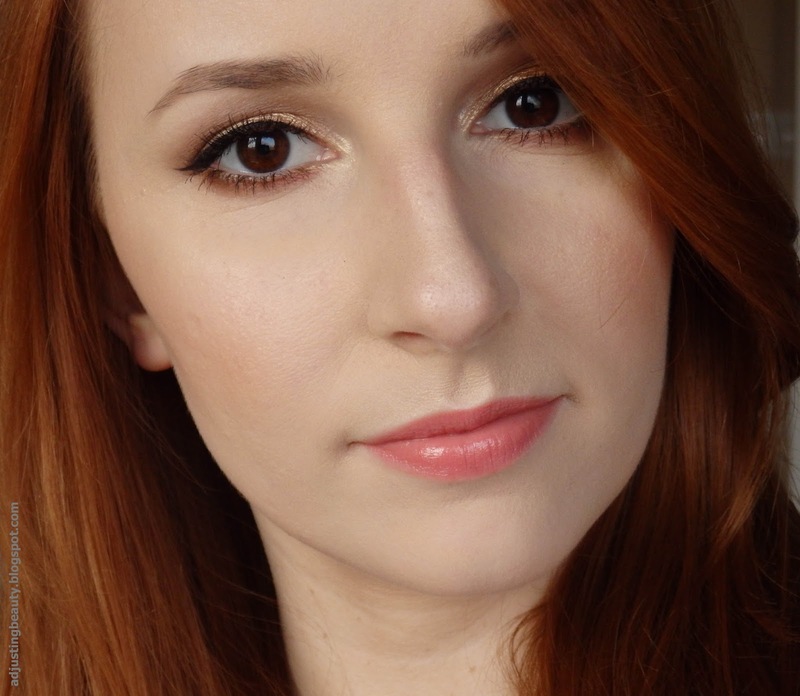 In the inner corner of the eye I used Smoothly and on the lower lash line is Sweet Shop. 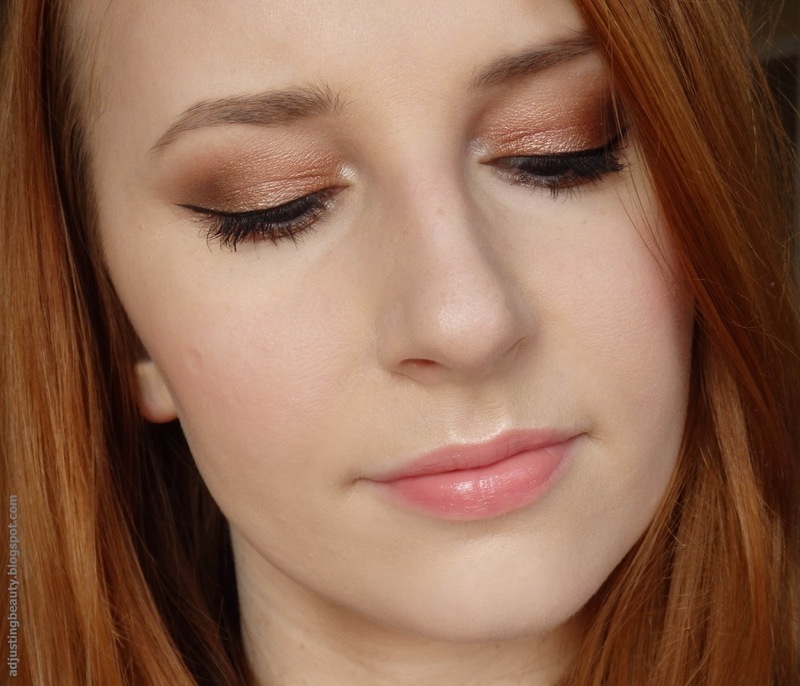 Honestly, if you like brown, copper, taupe neutral shades, then you need to get this. All the shades are extremely pigmented, they can be mix matched very well and it's just a fool proof palette for a very affordable price. I will say a lot of the shades are very similar, but they are still a bit different. So I'm sure, you'll have a good use of this one. I know I love it and have been using it a lot. Thanks Sabina for getting it for me, since this one has been sold out a lot;). Choc-fest izstopa. Zelo všečen odtenek sploh bolj jesenski:)). Ja in kvaliteta je res odlična za takšno ceno:). Lepo, da si mi pustila tvoj blog. Še vedno odkrivam vse slovenske blogerke ;). 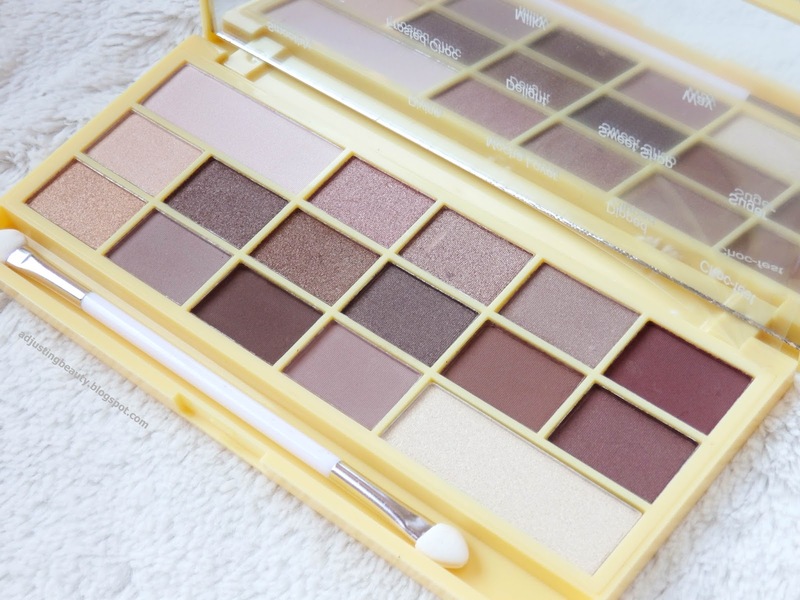 I like the looks you created and this is a great palette.